Pride of Bilbao-Artist Ken Burton, Paintings of Norfolk, Paintings of Yorkshire and cityscapes etc. 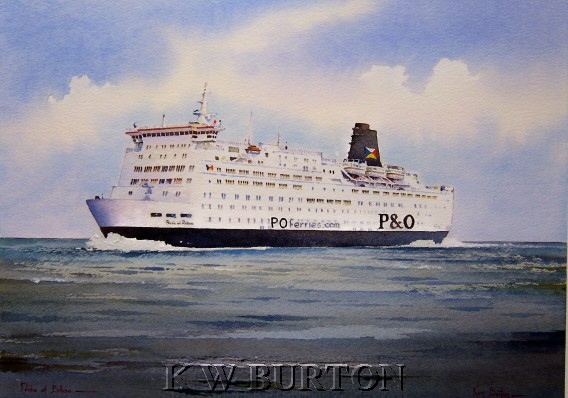 Original watercolour of the P & O ship, 'Pride of Bilbao', size 10.5" x 7.5". Mounted and framed to size 18" x 15"